The drafting procedure for the third edition of Pakistan Super League, set to be played in 2018, was held at the National Cricket Academy in Lahore on Sunday (November 12). 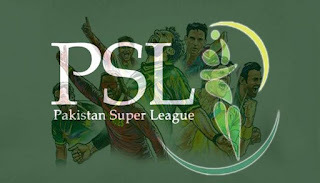 This edition will have six teams, with the addition of a new franchise called Multan Sultans. Shoaib Malik and Tom Moody were announced as the captain and the coach of the side respectively. The five incumbent teams were allowed to retain nine players each. The newest franchise, Multan Sultans, were allowed to pick, without any riders, their nine pre-draft players from the pool of players released by other franchises in the lead up to the draft today. A total of 501 players (308 foreign and 193 local) were a part of the draft. Franchises were allowed to pick one player each from Platinum, Diamond and Gold categories, while selecting two each from the Silver and Emerging Players list to stack up their squad with a maximum of 20 players. Each team had a purse of USD 1.2 million. Platinum category players will earn between $140,000 and $200,000. Diamond category players had a minimum price of $70,000 whereas the Gold category players had a minimum price of $50,000. The minimum cap for Silver category players and Emerging Category players was kept at $22,000 and $10,000 respectively. Below is how the teams look after the end of today's draft. Players with (#) after their names are Supplementary Players, who will be partially available during the season. Transfer(s): Shahid Afridi was brought in from Peshawar Zalmi. As a deal, Karachi Kings and Peshawar Zalmi exchanged their draft pick orders in the gold and silver categories, meaning Peshawar were able to pick ahead of Karachi in those two categories in exchange of Afridi. According to the rules, since Peshawar Zalmi were the winners of the last edition, they were supposed to get the last pick each round. In addition to Afridi, Karachi Kings brought in Mohammad Rizwan from Lahore Qalandars in exchange for Sohail Khan. Transfer(s): They traded Mohammad Rizwan, to Karachi Kings, for Sohail Khan. Transfer(s): Iftikhar Ahmed was brought in from Peshawar Zalmi in exchange for their supplementary picking order in the second round of draft. Retained players: Darren Sammy (captain), Mohammad Hafeez, Wahab Riaz, Shakib al Hasan, Kamran Akmal, Hasan Ali, Haris Sohail, Chris Jordan, Mohammad Asghar. Transfer(s): Gave away Iftikhar Ahmed for a supplementary pick in the second round of draft.